On Friday the 26th of October, Carrie Ann Moran and her team hosted a stand at Ikea to teach their customers all about zero waste living in their homes. The zero waste living stand created reusable products that will help to reduce waste toxins and plastic in the home. 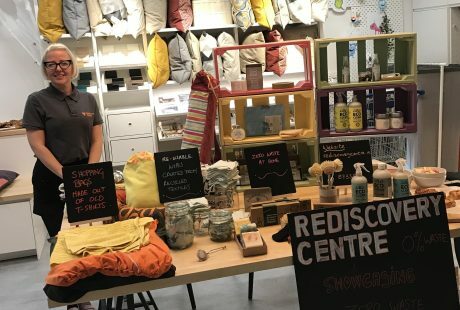 The stand had examples of reusable wipes made from recycled textiles, shopping bags made from old t-shirts and other environmentally products that can be used around the home. If you would like the Rediscovery Centre to come to your place of work to host a stand please email grainne@rediscoverycentre.ie for more details.